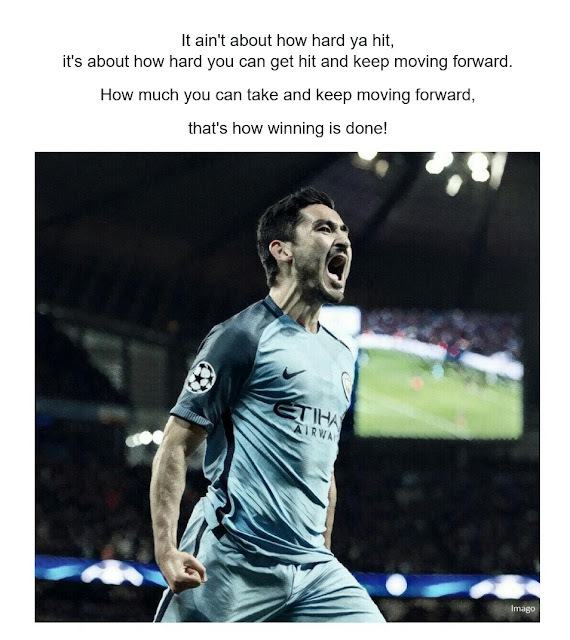 Ilkay Gundogan who was ruled out with a knee injury, possibly for the season in their Watford encounter and was honored in their match against Arsenal in the weekend which to some extent caused an uproar in the Media. 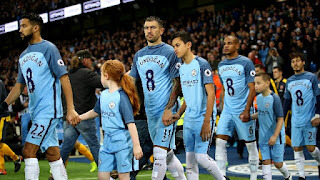 The Manchester City players wore tops Crested Gundogan in front, the game which had City taking all three points at the end started out bad for them as Theo Walcott's early goal was no good way of honoring their wounded comrade. It wasn't up to the first 45 minutes whistle when Gundogan became a trending name on Twitter even in his absence on the pitch, several tweets questioning their decision and others criticizing the decision. Tweets Like "Underway in the Gundogan memorial match." from Coral. Adam Sweeney tweeted " Why on earth wasn't there a minutes silence, and black armbands, for Gundogan?" " This is actually embarrassing. Gundogan is at home lads he's not dead"
"Awful start by City. Gundogan will be turning in his grave"
" R.i.p gundogan, didn't realise he was gone"
The picture Was a surprise to Manchester City fans as most couldn't get the motive behind the decision and the Critics were those who worsen the situation creating huge jokes about it due to City's ill start to the game, trailing with a goal in just 5 minutes. 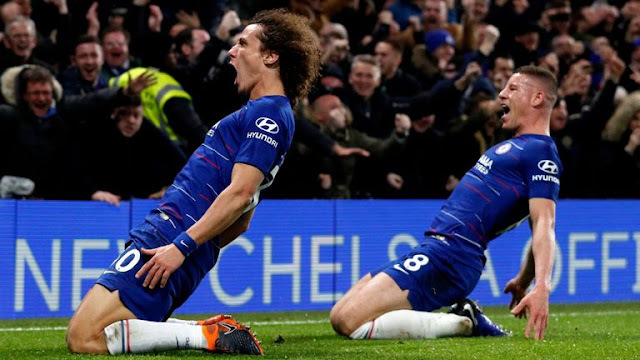 The Game went in favour of the Pep Guardiola side at the end of 90 minutes, a good game in honour of their wounded comrade and also some boast to their premier League dream Chase.